Animaladda will be held from 25 to 27 October, a show that is aimed at promoting respect and responsible ownership of pets to avoid their abandonment. Animaladda 2013 will be held from 25 to 27 October, a show that is aimed at promoting respect and responsible ownership of pets to avoid their abandonment. Animaladda is the fair for the Welfare of Abandoned Pets, and it is annually organized by the Association Adda. It will be held during 3 days in Palau Sant Jordi in Montjuïc, with many activities for both adults and children, as it is especially organized so that families can go together and have a nice time learning about pets. There will be many fun and educational activities, such as demonstrations of the capabilities of assistance dogs, "Agility" shows, storytelling, lectures, talks and discussions, etc. 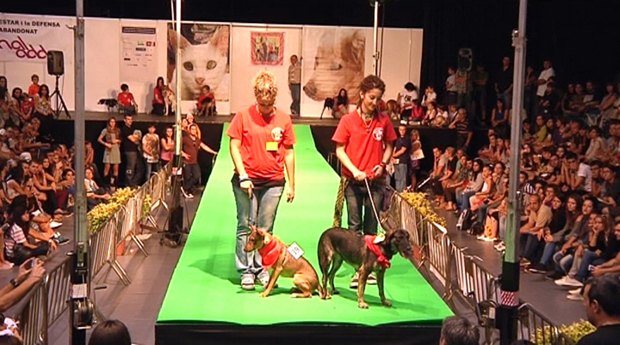 Although the highlight of each day is the Catwalk, where abandoned dogs and cats are displayed with the hope that a family will want to adopt them and give them a new home. Thanks to the great success of Animaladda in each edition, many abandoned pets have already found new homes with responsible owners .